Aaron Russo lit a fire in me when I watched his documentary, "America, Freedom to Fascism". I already knew about the IRS and that it was not a legal entity. I am older now and at a different place in my life. He inspired me to start telling others and doing some of my own research. I decided to start my own website to compile the information that I gather. 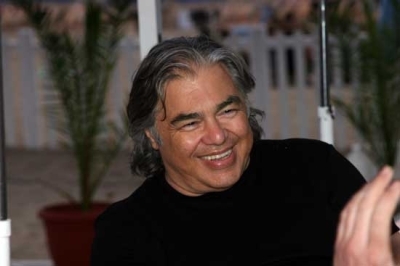 Aaron Russo was fighting cancer. It was very tough for him. It finally took a toll on him and he passed away at 4:20 AM August 24, 2007. He produced, Mad As Hell" which is another fire lighting documentary. In Memory of Aaron, please watch both of these videos and lets join together to fight for our freedom. Here is an interview that happened in January 2007. Alex Jones interviewed Aaron Russo. Aaron, one of my great American heroes and patriots. Your message has touched me forever. Be at Peace knowing you gave your last years to serve the good. Yes this system is what keeps people in there position that they are in and now we have to be subjected to dealing with multiple issues such as background checks, now if you are not into anything that involes something like children or robbing banks then what is the issue and most of the time people change after making a mistake in there life. I think that the system needs to change because. I myself have a time finding work its getting to a point where we are going to have to make our own way to make a living and do nothing else.